SMART LIST: Heros Undercover | Shelf Elf: read, write, rave. I can think of nothing better than settling into a long winter afternoon with a spy story. There’s something particularly delicious about all of that intrigue, undercover drama and, if you’re lucky, the abundance of nifty spy gadgets. Here is a selection of some of my favourite books featuring spies, or at least, some serious sneaking around. The Spellman Files (Lisa Lutz) – OK, so not strictly a YA title, but teens will love this too. The Spellmans are a family of Private Investigators who are never off the case. Find out what it’s like for Isabel Spellman as she tries to escape the family business. When your parents are P.I.s, you can forget boundaries. Hilarious, quirky and just plain awesome. Tamar (Mal Peet) – Two friends are resistance fighters in the Netherlands during World War II. They are under constant threat of discovery and they learn that the deepest secrets may be the ones they hold from each other. I’d Tell You I Love You But Then I’d Have to Kill You (Ally Carter) – Elite spy school for girls. Need I say more? The Gallagher Academy is not what it seems, and Cammie Morgan, daughter of the school’s headmistress, has a lot to learn – about covert operations, culture and assimilation, and boys. Fun from page one. Oh… and plenty of girly gadgets. A series. The Plain Janes (Cecil Castellucci) – This isn’t really a spy book, but at the centre of the graphic novel is a group of girls who form a secret society. They plan and conduct a bunch of “art attacks,” so there is an element of conspiracy and a strong sneak-factor. Fresh, thought-provoking and funny, with diverse characters for girl readers to connect to. 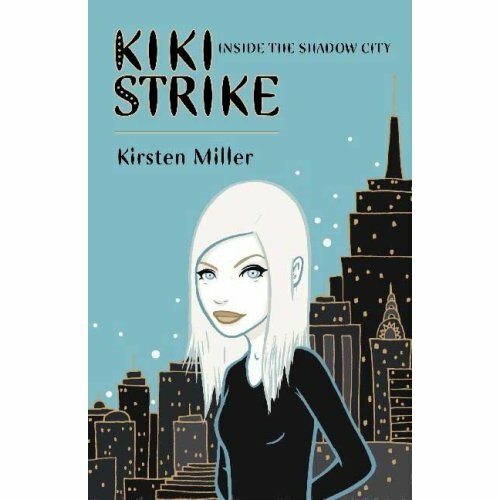 Kiki Strike (Kirsten Miller) – The first in the series, Inside the Shadow City, is a girl-power adventure story in which the Irregulars, a group of talented girlfriends, discover a series of tunnels underneath Manhattan. They find that there is a plot in the works that puts the whole city in terrible danger. Good thing Kiki Strike is on the case. There’s great comedy here, and you’ll cheer on the Irregulars as they step out of their ordinary day-to-day lives, heading towards real adventure. Alex Rider (Anthony Horowitz) – This series is wildly popular with boy readers, but the stories are such page-turners that everyone should read them, just for pure pleasure. After his uncle’s mysterious death, Alex Rider learns that his uncle had more than a few secrets. He was a spy, and now the organization wants Alex to take over the mission. So begins the first of many adventures. The spy toys in these books are particularly inventive (metal-eating Zit cream, for instance). It has also been turned into a great graphic novel. Young James Bond (Charlie Higson) – Much like the Alex Rider series, here we have James Bond, back when he was just learning to be a super spy. Silverfin is the first in the series, and it has one of the creepiest, goosebump-ifying first chapters of any book I’ve read. (Eels… lots of ’em. That’s all I need to say). Anna Smudge: Professional Shrink (MAC) – Anna Smudge has found her calling. She’s a listener. She’s Manhattan’s only eleven-year-old shrink, and she has plenty of business. Anna gets caught up in the nasty schemes of the infamous mastermind, Mr. Who, and she and her friends team up to crush the Who’s evil plans. Funny, clever and packed with action. Kids will love the great comic illustrations too. Harriet the Spy (Louise Fitzhugh) – I hardly need to introduce this one. Curious and smart-as-a-whip, Harriet finds her talent for spying gets her into heaps of trouble when her secret notebook falls into the wrong hands. 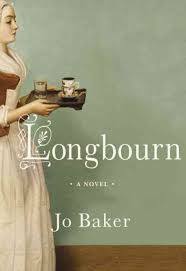 A classic that remains entirely readable and heart-warming. This entry was posted in General, SMART Lists on December 28, 2008 by shelfelf. I love your reviews, and how you’ve grouped these books together. Kids are always looking for action/adventure – and these sound fantastic! It would be a big help to me (a librarian in a K-8 school) if you could put age or grade ranges with them. Thanks!! Mary Ann – that sounds like a summer project! Thanks so much for the suggestion! Erin – You will love it. Let me know what you think!